The sports world is buzzing around the term fantasy sports. There are upwards of 57 million people who play fantasy sports with average age being 37. 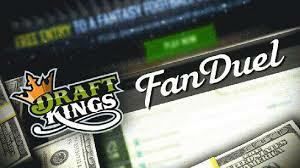 Daily fantasy sports leagues have never been more popular and have seen a 9% increase in play over the last year. How does the world of Fantasy sports work you ask. The way it works is simple: sports lovers select a team of real world athletes who then score fantasy points according to set scoring rules. There are the traditional fantasy leagues for which you keep the same team and score points for 16 weeks or there are the DFS leagues where you play on a weekly basis. The standard fantasy game has been around a long time, but the new hype is centered around the weekly leagues, FanDuel and DraftKings. Once involved in any of these leagues there are many questions that need to be asked. What players do we start? Who’s active? Who’s below market value? What players are picked the most? What players are picked the least? Obviously we know now, that if we want the answers to these questions all we have to do is ask a DraftKings or FanDuel employee. The news broke through the media last week of a fantasy football scandal and it continues to grow legs faster than a baby spider. As in all scandals, where there is smoke, there’s usually fire. And in this case we are talking about a forest fire that refuses to die. Last week as everyone was getting ready to look at the recaps from the weekend’s games, a story broke that a DraftKings employee used insider information to win a sum of $350,000 on their rival site Fanduel. This has caused many questions in the direction of a league that already was facing opposition from legislators and officials. Is this legalized gambling they ask? How does it not fall in line with casino winnings or sports betting? Since its inception, the argument for fantasy sports has been skill vs. luck. Statistics show that the players who do the most research win at a higher percentage. So from afar it seems as though the studying helps. However, people do study slot machine tendencies and poker strategies as well. Doesn’t that count as skill? The thinking is that skilled players make profit by selecting high-risk, high-reward players that could catapult owners to a greater payout. This means taking a chance on a player like Atlanta Falcons running back Devonta Freeman, who was a virtual unknown at a low price, rather than piling up a roster of players that casual fans are likely to choose, like Matt Forte or Jamal Charles at the same position, who put out consistent performances week to week. In doing some research I came across a report from the Gaming Laboratories International shared with FORBES, that states Star Fantasy League’s “skilled’ fantasy football players (meaning, those who performed the best over the previous week) purportedly beat randomly generated lineups that used ninety percent or more of the provided salary cap space 69.10% of the time, with a +/- 0.69% variability over a 95 percent confidence interval. This is one of the first studies I have seen that backs the skilled players win argument. Regardless of either train of thought, there is a real problem here that needs some solid answers. The implications can run deep as the investigations pile up. As I look deeper into these 2 monster fantasy sites, the following tidbits of information make me really question the legitimacy of these games, as well as the overall direction. * DFS sites a linked to advertising on stadium signs and team websites, which goes above and beyond the traditional advertising the teams try to sell us on. * Browns president Alec Scheiner talked about FanDuel in the same breath as Ford and Pepsi. * At last count, there are six fantasy lounges that have been installed in NFL stadiums, three sponsored by each site. The deal for the DraftKings lounge at the New England Patriots’ stadium involved the team’s vice president of corporate sponsorship sales. * Fanduel and DraftKings will spend $500 million in advertising, with $150 million spent in the 3rd quarter alone. * Jerry Jones of the Dallas Cowboys and Robert K. Kraft of the New England Patriots have stakes in DraftKings, which recently struck a three-year deal with the N.F.L. to become a partner of the league’s International Series in Britain, where sports betting is legal. * DraftKings has tapped hundreds of millions of dollars from Fox Sports, and FanDuel has raised similar amounts from investors like Comcast, NBC and KKR. Come follow me on Facebook at https://www.facebook.com/extremesportsaddicts23 for breaking news, stats, comical stories, and weekly projections. Also tune into ESPN Radio on espnradio1450.com @12:30 pm (est) every Tuesday to hear my Weekly Fantasy Sports Segment for all picks for the week and some interesting analysis from a Knowledgeable Sports Enthusiast and a Jackson Legend.